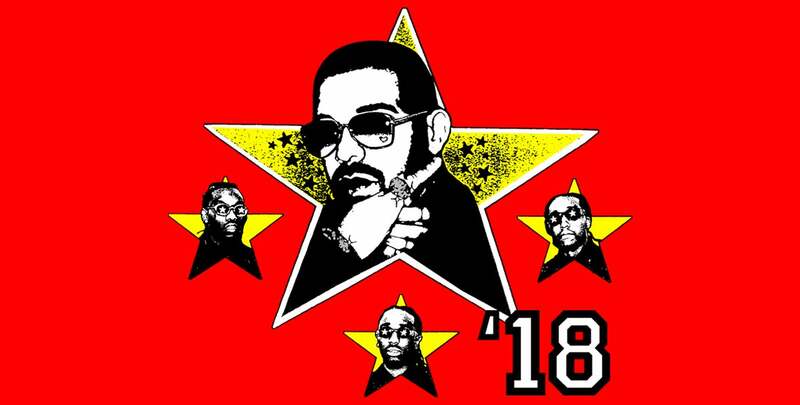 Platinum selling artist Drake announced the ‘Aubrey and The Three Migos Tour.’ Drake will be joined by special guests and “Walk It Talk It” collaborators Migos on a North American run throughout this summer and fall. Produced by Live Nation, the 41-date outing will kick off July 26 in Salt Lake City, UT and visit cities across the U.S. and Canada including Phoenix on October 8 at Gila River Arena. The tour announcement follows the release of Drake’s hit singles “God’s Plan” and “Nice For What,” leading up to his highly-anticipated fifth studio album Scorpion.